How-to Podcast Blog Series: Launching February, 2019. Posted on January 31, 2019 by Dan Russo. If you listen to podcasts or are a podcaster yourself it should be no surprise that podcasting is experiencing a tremendous up-swing in popularity. While podcasting is not a new medium it has grown significantly in the last few years. In fact, it seems like every week some new celebrity, influenceror well-known figureis hopping on the podcasting bandwagon. 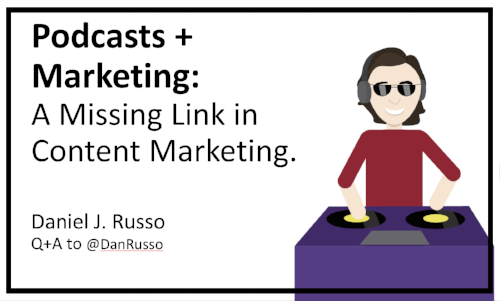 Recap from Digital Summit (Kansas City) - "Podcasts + Marketing: The Missing Link in Content Marketing." The BBQ is amazing in Kansas City. Anyway, I was honored to be invited to speak about Podcasting at the Digital Summit. My intent was to talk about podcasting and help the audience determine if / when / how you can use podcasting in marketing strategy (both B:B and B:C). Does this count as humanizing a brand? The act of listening to a podcast can mimic listening to an interesting friend talking on the phone. Podcasts act similar to 1:1 relationships. And when you’re a large brand it makes sense to try to bring individual names and faces out from behind the logo. Because…people buy from people. Large corporations can seem faceless but podcasting can help there. Think about it…There is a signature at the bottom of every contract. 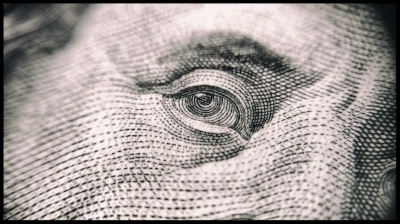 There are individuals responsible for making decisions, buying things, influencing decisions, spending money and making money. Podcasts give you an opportunity to make the humans in your company standout and connect with individuals outside of your organization. It also helps talent to think of themselves as what it would be like working in your organization, which can help attract great team members to your company. Podcasts are hot! And, yes, it’s pretty easy to launch a podcast. And, yes, podcasts are being launched by lots and lots of people. But that doesn’t necessarily mean it’s over-saturated or not worth pursuing. Why? Well, if you think about YouTube, they’ve turned everyone with a phone into a content creator and distributor. Yes, there are amazing videos on YouTube, but also loads of poor videos. Doesn’t mean you should discount YouTube’s use in marketing. We are all creators and we can all distribute work that is important to us. And we should. The cream always rises to the top. If you’re putting in the time, and creating something worth listening to (in the case of podcasting) or watching (in the case of YouTube), and if you simply care…audiences will find you. Is this a broad generalization? Absolutely. But it works. Niche topics find their audience. The internet has proven to me that there is always someone else that also loves [fill in the blank]. Even if you look at the top podcasts, they know their topic and purpose and go for it. They’re not everything to everyone. How do you get your podcast found via organic discovery? Good show notes are of course, key to helping you get found organically. Blogging alongside the podcast is recommended and you may even consider transcribing your podcast episodes and posting those transcripts as part of your blog entries. Your recorded audio conversation will likely be jam-packed with relevant search keywords, which will then lend a helping hand to SEO. Podcasts can be a low-cost marketing tool for you. 4. (Can be) low cost. Podcasting is, at its core, very simple. Record audio, and post up an MP3 for the world to hear. Hosting can be done on a blog, but if you’re going to be mobile-first and have people consume the content via iTunesand Stitcher, for example, you’re going to want an RSS feed. Hosting an RSS feed for your podcast does cost money but it’s reasonably priced with most podcasters I talk to paying between $13-20 a month. Then comes the MP3 part. Just like music and video production, there is a great range of how much this recording can cost. And this depends on you and your needs. Dr. Dre produces music that can cost hundreds of thousands of dollars per track. But other musicians produce for a fraction of that. Same goes for podcasting. I always recommend keeping costs low on your podcasts. I’ve seen some agencies produce episodes at an insanely expensive rate. High-quality audio but not sustainable price tag. So I figured out how to get podcasts recorded without the high price tag and I’m quite happy with the results. Zencastr is one way to record remote interviews for free with a high production value. If you’re recording in-person, there is a multitude of ways to record from iPhone recorders with external micsto handheld audio recorders. We have amazing tools (both hardware and software) that bring you the quality, shine and polish of an NPR podcast. You just have to be involved, get scrappy and make things happen for yourself. If your content is a long-form advert for your organization, it’s a huge flop. Ads get skipped. If you’re trying to have people sit through a 15 minute ad, you can bet it’s only your company listening. Nobody wants to hear chest-pounding and a pitch when they tuned in to be entertained or informed. Good luck podcasting and let me know if you have any questions about podcasting strategy or ideas. Posted on September 19, 2018 by Dan Russo and tagged podcast marketing content. Everyone wants to launch with a bang and kick their podcast off with a great start. And you can with just a little bit of planning and being intentional about how you structure the launch of your show. We like to follow a pretty specific formula for launching that all but ensures that your podcast will get off to a great start. You’ve worked so hard to get your podcast all put together and ready for the world...don’t let it just flop out there without some buzz around the launch. If you come from any kind of business/marketing/product background you know the importance of building the hype for any new launch, and your podcast is no different. Getting your community excited about your new podcast is essential in them taking the action that you will need in order to have a successful launch. - A competition - if you have a product or service that you can give away to those interested in your show this is a great way to build a core group of people that you know are going to be interested in your podcast. Run a contest for a single entrant to win a call with you, one of your products, or something of high value, and in that contest you will then have a strong group of people that you can announce the launch of your show to. This works great whether you have an email list to market to already or not. Being intentional about the launch of your show with a bit of work ahead of time and engaging your audience will go a long way on launch day when it’s time for you to tell them all about the new show. Then they’ll already be connected with what you’re doing and ready to subscribe to your podcast. When you’re thinking through the ‘What’ of your podcast launch the natural question is “what content or guests should i include in my launch episodes”? - Surround your topic: if you’re running a solo or co-host type of show then you should plan the content of your launch to encompass the main topic of you show. Practically this means taking different perspectives of the main topic that you’re discussing. If you have an interview style show then this means having on different types of guests and different topics around your main theme that you’ll discuss with those guests. - Launch day: Episodes 1 and 2 - these are some of the best content you can create. We like to publish 2 episodes on the first day to both give your audience a bit of variety around the topic that you’re going to be discussing (see the point above) but also to pad those download statistics a bit for iTunes. Plan to have some of your best guests, topics, and discussions here in these first episodes...there’s no 2nd chance to make a 1st impression. - Bonus launch week episode - this one is optional but i really like giving your audience a one-time bonus episode on launch week. Here you can really drop some great content, have a powerhouse guest, or whatever would be the huge piece of content you want to release during the launch phase. This is the time. And let your audience know. “Hey guys this is a special launch week bonus episode...today I have on Seth Godin and he’s going to be talking about marketing”. - Connect with your audience wherever you already connect with them. Are you big on Instagram, then promote your show on Instagram. Have an active Facebook group (if you don’t, you should...they’re excellent! ), then connect with your audience on your Facebook group. Have a big, engaged email list...then email your audience about your podcast. When you’re talking with your audience and new listeners you want to be very consistent about the Call To Action that you are using. Having a single, easy to follow set of guidance for your listeners is the key to getting the success that you want out of your podcast launch. A subscriber to the show will automatically get every new podcast episode you publish downloaded to their mobile phone. These are guaranteed ‘listens’ in your stats and are the basis of your audience. Subscribers are those audience members that are on ‘autopilot’. This is the Social Proof aspect of your show and is vitally important not only in the iTunes ranking algorithm but also in discovery of your podcast by potential new listeners. Imagine seeing a podcast in iTunes with 2 reviews, and one with 258 reviews. Which one are you more likely to check out? Yep, me too...the one with the most 5-star reviews. That’s why if you can push as many of your subscribers and audience members to leaving a Rating and Review for your show you’ll get new listeners finding your content in iTunes organically. Once your show is live and you start building that audience it’s time to supercharge that audience into a community, or a TRIBE. These are not just regular podcast listeners but they are super dedicated, passionate members of your world that interact with you (and your other community members) and continue the discussion that you start on each podcast episode. Practically for most people this takes the form of a Facebook group. Love it or hate it Facebook is a place that most of the WORLD spends their time, and makes the adoption of your community super easy for your community members. The beauty of Facebook groups is that they allow you (and other group members) to continue the discussion of your podcast in between episodes. So no longer is it just you talking into the microphone and them (hopefully) listening, but it’s you talking, them listening, and then after the episode is over you having a 2-way (or really multi-way) discussion about it with everyone else in the community. Once these groups get some traction and activity as well they start to take a life of their own and become self-fulfilling entities. 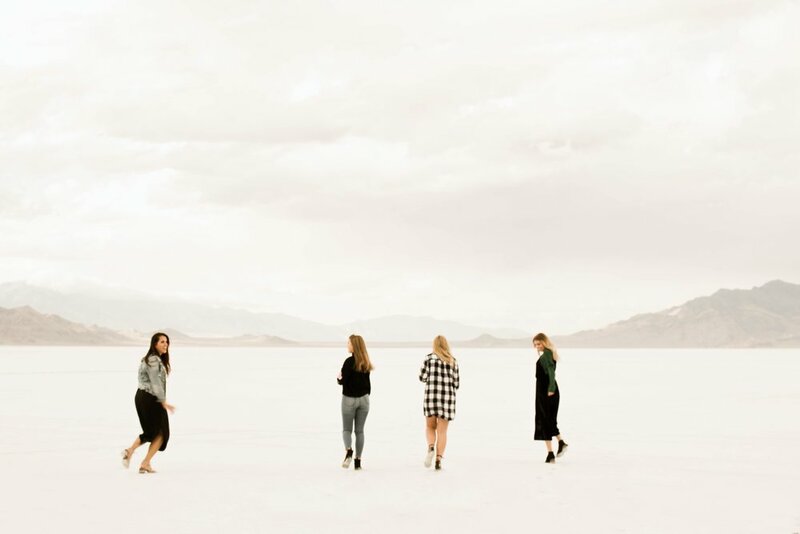 You’ll find that there are natural conversation leaders in the group, people who will moderate for you and make sure that everyone is behaving, and those who generally keep the conversations lively and helpful. If you don’t have a Facebook group for your community now then today is the day to start one. Make this part of your ongoing marketing and community involvement and you’ll be thanking me in a few months when this becomes one of the best ways that you can connect with your audience. Of all the aspects of building and growing a podcast that are talked about this one is probably the least discussed. Publishing consistently, on the schedule that you told your audience you would be publishing on, is absolutely critical to growing your audience over time. You might not realize it (although if you had a thriving Facebook group you probably would) but there are many people out there who set their daily routine based on your podcast. Plenty of listeners know that on Wednesday mornings when they’re going to for a run you’ll be joining them in their earbuds. And those weekend trips to the in-laws are more manageable with the podcast you put out on Friday. But, if you miss your regular publishing schedule your audience will know...and they’ll move on to another show! Podcasting is a zero sum game when it comes down to it. Most of our audience only has a given amount of time each week to listen to all of their podcast content. Whether that’s commuting to work, exercising, walking the dog, or avoiding meetings at work there’s a finite (and usually fixed) amount of time that podcasting fits into their regular routine. 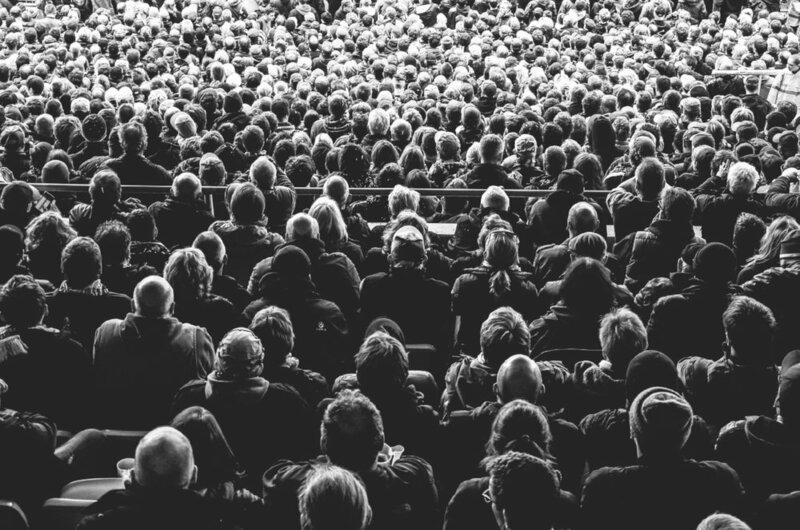 If you want to grab some of your audience members time and attention then you have to be there every week, dependably, or they’ll move on to another show. Have backup episodes already done ahead of time: If you have interviews or episodes already recorded that are “evergreen” (meaning they won’t go out of style or date) then keep one or two of those around for the rainy day when your schedule gets in the way or a guest cancels on you. It’ll come in handy, believe me. Record more than a week ahead of time: Similarly if you structure your release schedule to be at least a week ahead in your recordings then you’ll always have that one extra episode, and if something should come up at least you’d have an extra week to figure things out. Republish other content: If it comes down to it you could always extract the audio from a presentation you gave, a YouTube video you created, or a Facebook live event. This is a nice change in pace for your listeners and just might expose them to another part of your content that they wouldn’t have seen otherwise if they were just listening to your podcasts. Doing any (or all) of these will all-but-guarantee that your podcast will go out on schedule, every time. And this will not only gain you enormous trust and respect from your listeners, but many more of them as well. We’ve covered a lot in this guide, but hope that it is helpful to you and your podcasting journey. When it comes down to it podcasting is like a lot of other types of content...you have to first just GET STARTED, and then learn as you go. Getting feedback from your audience on what they like and don’t like is the only way that you’ll create a truly sustainable podcast for you and your brand. As you begin your podcasting journey in earnest you’ll quickly find why it’s all the rage and why so many content creators love the authenticity and connection that it creates with their audiences. There’s just something about literally being in someone’s earbuds each week as they listen to your show for them to form that strong bond with you, and in turn you form that strong connection with them. 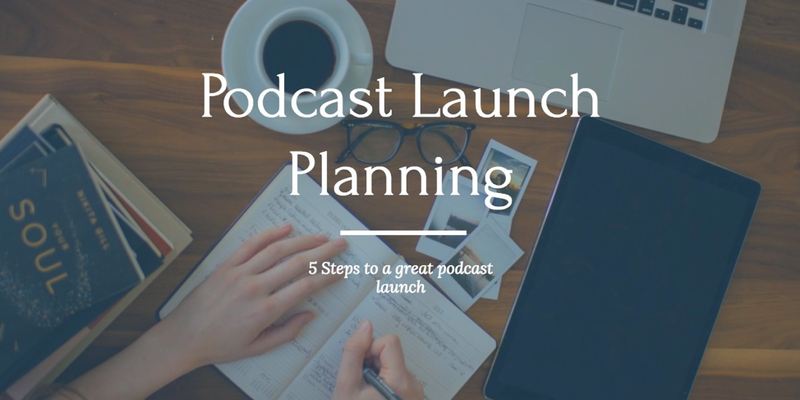 So go out and get started your podcast launch preparation today. In no time you’ll be sharing your voice with your audience. Craig Hewitt has been podcasting for more than 4 years and has over 200 episodes published to date. 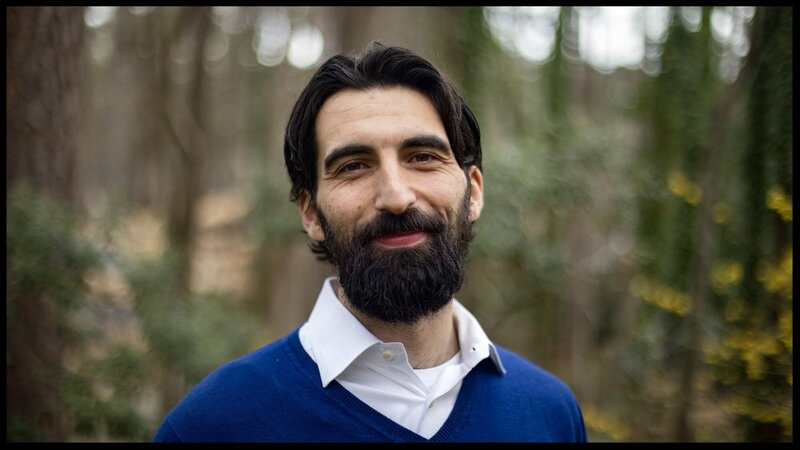 He is also the founder of Castos podcast hosting and analytics, which provides easy to use and powerful podcasting solutions to podcasters of all levels. Their goal at Castos is to make podcasting simple and accessible to all so they can share their voice with the world. Posted on August 10, 2018 by Dan Russo. Even with the recent rise in popularity of podcasting there has never been a better time to get started. 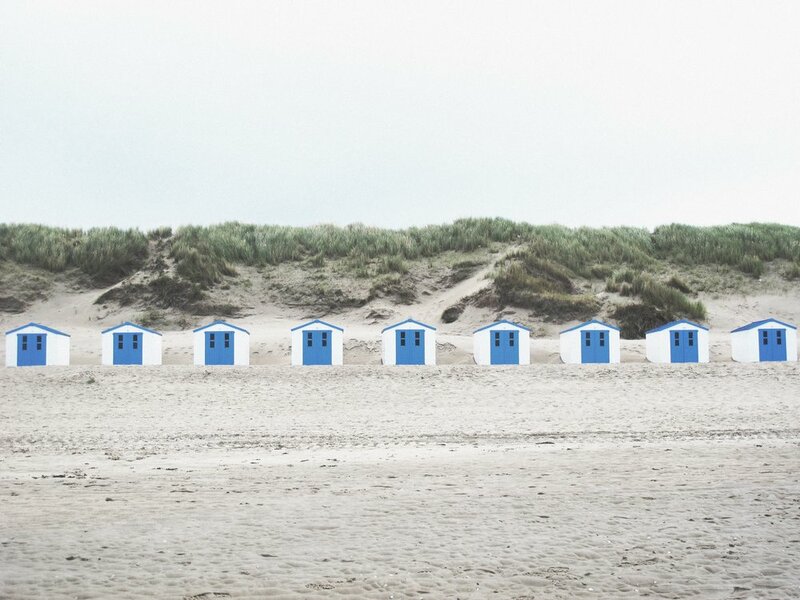 The rising tides of this content medium means that while there is more competition for your audience’s attention there is also loads more people listening to podcasts and more interest in this medium regardless of your niche. The beauty of podcasting is that it can compliment the other content that you might already be creating. 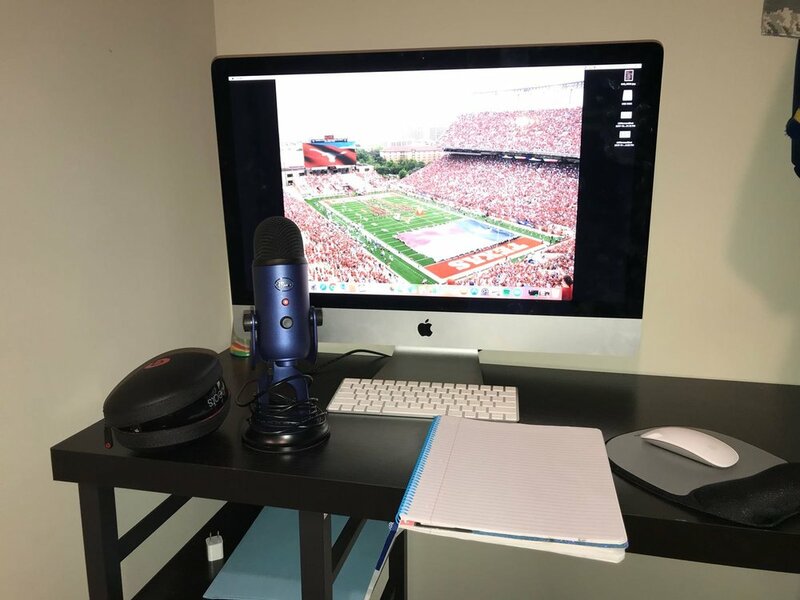 Whether you have a blog, YouTube channel, or active social media presence adding podcasting to the mix is a natural next step for many content creators. Reaching a new part of your target audience - it’s just true that some people aren’t blog post readers or watch YouTube channels...but they may be podcast listeners. Give your audience the chance to connect with your content in the medium that works best for them. Connecting with your existing audience in a new way - the audio medium is just better suited for certain types of conversations and certain topics that wouldn’t be as impactful as if they were done in written form. The single question that gets podcasters hung up (and frankly keeps many from ever getting started in the first place) is the gear. There’s no way around it, podcasting needs certain gear that something like blogging just doesn’t. But fear not, we’ve got you covered with a list of exactly what you need to create beautiful sounding audio for your podcast. This USB mic is a fantastic choice because it’s so simple to operate and is extremely forgiving to less-than-perfect recording environments. So if you have a noisy neighbor, the kids running down the hall when you’re recording at home, or a room that has an echo this mic will make you sound like a pro. With a very affordable price point this mic fits into most any budget and will give you great sounding audio, with almost zero setup. As this is a USB mic it also plugs right into your computer so there’s no need for any external recording gear. The Shure SM7B is definitely a few steps up in price, but also in quality. This XLR mic will need to plug into a preamp of some sort (we like the Scarlet Focusrite) and then into your computer, or directly into a dedicated recorder like the Zoom H6. But, with this additional step comes additional control over the sound you’re recording and an improvement in the depth of sound and tone. 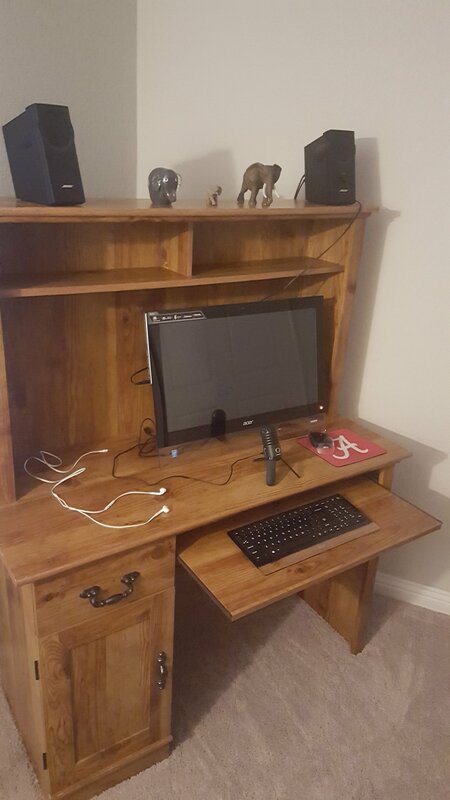 If you’re looking for a more premium podcasting setup then this is a great way to go. Along with a great sounding mic there are a few accessories that will really increase the quality of sound that you’re able to record. POP filter: This eliminates most of the P and T ‘plosive’ sounds that you get when recording. Either the fuzzy kind that sits on top of your mic itself or the flat screen type that sit between your mouth and the mic...either way works great. Boom arm: A boom arm holds the microphone and gets it up off your desk and to the level of your mouth. Good mic technique is that your microphone should be about a fist width away from your mouth and at the same vertical level. A boom mount makes this easy to achieve with you having to stoop down to the level of your mic or talk “down” to it. Headphones - especially if you’re recording remote interviews you’ll want to have the sound of your guest going through your headphones and not out of the speakers of your computer where it could be picked up by your microphone and creating all kinds of echo and distortion. Audio recording falls into 2 categories: In-person and Remote. As the names suggest these two categories depend on where you (and the other person participating in the recording if there are multiple members) are physically located. If you’re recording a show by yourself or you have multiple people in the same room then recording your audio gets pretty easy. We like recording audio right in the editor that we’ll end up using: Audacity. This free, open source tool works on both Windows and Mac and is a great choice for those of us who want a tool that’s powerful enough for everything we need, but not overly complex. Audacity will give you all the tools you need to record (and edit, which we’ll talk about in a bit) your audio and you can’t beat the price. Sound quality - with intermittent or poor internet speed can also change how your voice sounds. If you have a poor internet connection the provider you’re using will save all the bandwidth it can just to keep the connection alive, at the expense of the sound of your voice. Recording on multiple tracks - when you’re recording multiple people (whether it be remote or in person) you want to be able to edit the tracks separately. This allows you to more easily adjust things like levels, background noise, and other imperfections independently for each channel, resulting in a much cleaner end product. The folks at Zencastr know all of this and had it in mind when they created their remote recording tool. Zencastr allows you to have live calls, right in the browser without any external downloads, and creates real time recordings on each caller’s local computer. This solves the two biggest hassles with conducting remote podcast recordings: internet latency and consistency, and recording multiple tracks. With Zencastr each call participant gets their sound recorded locally on their computer and at the end of the call that recording is uploaded to your storage area of choice for you to later edit and publish. Once you’ve got your audio recorded then it’s time to start thinking about the editing process. Here you’ll cut out all those annoying umms, ahhs, and pauses as well as stitching together music, intro/outro, and any ad segments you might have. Fortunately there is a single option here that we really like, and is universally free for everyone: Audacity. Audacity is a free program you can download for either your Windows or Mac computer and allows you very detailed editing of your audio. Now that we have a finished audio file for our first podcast episode it’s time to get it uploaded to our media hosting platform. The answer is, Yes It Can, but you don’t want to do that. A typical podcast audio file for podcasting purposes will be about 1MB per minute in length. So a 45 minute episode will be about 45MB. Imagine that you’re podcasting for your business, and every Tuesday morning you have a podcast that gets published where hundreds (and hopefully thousands) of people come to download that file. Also at the same time you’ve no doubt emailed your subscribers to tell them about the podcast episode coming out and the great show notes that you’ve put together in the blog area of your site. That traffic (not to mention all the other people coming to your site to check out your stuff and hopefully buy your goodies) will put an enormous strain on your website server, and could result in some very nasty downtime for your site. No bueno. Having a dedicated media hosting platform takes all the burden of those hundreds (and hopefully thousands) of people downloading those giant 45MB files from your site every Tuesday morning and offloads it to a dedicated media server. So your podcast listeners will stream and download your files faster and smoother, and your website visitors will enjoy a quick loading and snappy website to visit. The best of both worlds! Castos- Castos gives you the option of publishing your podcast content from their dashboard or via their integration into WordPress. They’re the owners of the top ranked Seriously Simple Podcasting WordPress plugin which makes managing all of your podcast content from your WordPress site a real joy. So your files are hosted on their dedicated hosting platform, and are automatically linked back to your WP site, but all the rest of your podcast content is managed right from your WordPress site. SimpleCast- if you’re looking for a beautifully designed interface and a platform with all the features you need to get started easily then SimpleCast is a great choice. They’ve done a lot of work to improve their player recently and have some neat social sharing features built in. Both of the options we mentioned for podcast hosting platforms above have built in “Podcast Websites” on their platforms, but many of us will want to set up our podcast on our own personal or business website. To do this you again have a couple of good options, depending on how strongly integrated you want your podcast to be into your site. For both of these we’ll assume that your website is running on WordPress, just because they power about 27% of the entire internet at this point. By well known podcaster and overall content creator Pat Flynn the Smart Podcast Player gives you a great looking player to embed right into any podcast post or page on your site. With options for either Playlists or single Tracks the Smart Podcast Player is highly customizable and looks great on any site. We mentioned this before in the Media Hosting section, but if you’re going to base your podcast on your WordPress site then it’s worth checking out the Seriously Simple Podcasting plugin and their integrated Castos hosting platform. The combination makes managing all of your podcast content from your WordPress site really easy, and it comes with a great looking and highly customizable media player for Free. What the heck is an RSS feed anyhow and why do you need one? This was the question I kept asking myself as I was getting into podcasting almost 4 years ago. But now I realize that your RSS feed is really where your podcast LIVES, and is vitally important to your show. Your RSS feed consists of two main areas: Channel information and Episode information. These are items that are consistent across the entirety of your podcast as a whole. The Episode specific information is created anytime you publish a new episode, so that’s all taken care of automagically, but we’ll want to set the Channel feed information up ourselves. Your podcast hosting provider will have an area for this and you’ll just need to fill in the relevant information about your show in that area of your dashboard. When you’re done you’ll be able to view your feed. Don’t worry it may look like a bunch of code depending on how your hosting provider formats the feed, but this is the stuff that podcasting directories like iTunes will parse and display for your show, and every episode that you publish. Once you’ve got your first podcast episode(s) recorded, edited, and published and you’ve configured your RSS feed it’s time to submit your show to iTunes. iTunes is the 4th largest search engine in the world. Funny that it’s really a search engine, but so is YouTube! To do this you’ll need an Apple ID. If you don’t have one already (looking at you Android users!) they’re free to sign up for and takes just a minute. Click on the “+” button in the top right of your screen to add a new podcast to your account. Here you’ll be asked for the RSS feed URL for your show. This you’ll get from your media hosting provider or from your WordPress site if you’re using the Seriously Simple Podcasting plugin. Paste that URL in and click Validate. If there are any issues then iTunes will tell you about those with some pretty good level of detail. Here’s an example of an error message where we had not published our first episode and iTunes is telling us that the feed is invalid for that reason. But once we publish that first episode then we get the proverbial Green Light and we can click Submit to submit our podcast to iTunes. 2. Apple will begin the review process of your show. This takes about a business day. Once Apple has finished the review of your show you will get an email (hopefully approving your show) and in that email will be a link to your show in iTunes. Save this link as it will be the Call To Action link that you’ll share with your friends, family, neighbor, guy who mows your yard, church group, underwater basket weaving club, and anyone else who will listen. Much more on Call To Action soon. There are a few really common “Gotchas” that happen with people submitting their podcast feed, and hopefully we’ll save some of you a few hours of banging your head against the wall here. ● Cover Image is not the right size and shape - your cover image MUST be 1400x1400px to 3000x3000px and Square. If it’s off by a pixel Apple will say your feed is invalid and you won’t be able to submit your show. Your RSS feed is NOT a link to an episode or media file for your podcast episodes. In our next blog post, we'll cover: "Planning to Launch your Show"
Posted on July 16, 2018 by Dan Russo and filed under Audio tips, how to podcast and tagged podcasting starting a podcast. For this post we’re changing gears from our regular Podcast Spotlight, this time sharing with you the team that keeps things running behind the scenes. Our small but mighty Zencastr team is essential to keeping things running smoothly, answering your questions and helping spread the word about the service. Our first Spotlight is with Erica, who is our Head of Support team. In the unlikely and unfortunate event something isn’t working as intended with the software, you should definitely send us a note at support@zencastr.com and the Support team (maybe even Erica), will be responding and getting you sorted. Erica joined our team back in February of this year and has been making a huge impact on support since day 1. How significant? How about 75% faster response times than before! I had the opportunity to interview Erica for this Spotlight (using Zencastr, of course, since we’re on different coasts). Hear how Erica has made her own podcast, is making support better and what she thinks is the single quality that great support teams all share. Enjoy! A view from Erica's workspace. Outside view from Erica's workspace in Washington. Posted on June 19, 2018 by Dan Russo. Ian is a longtime Zencastr user and industry luminary. 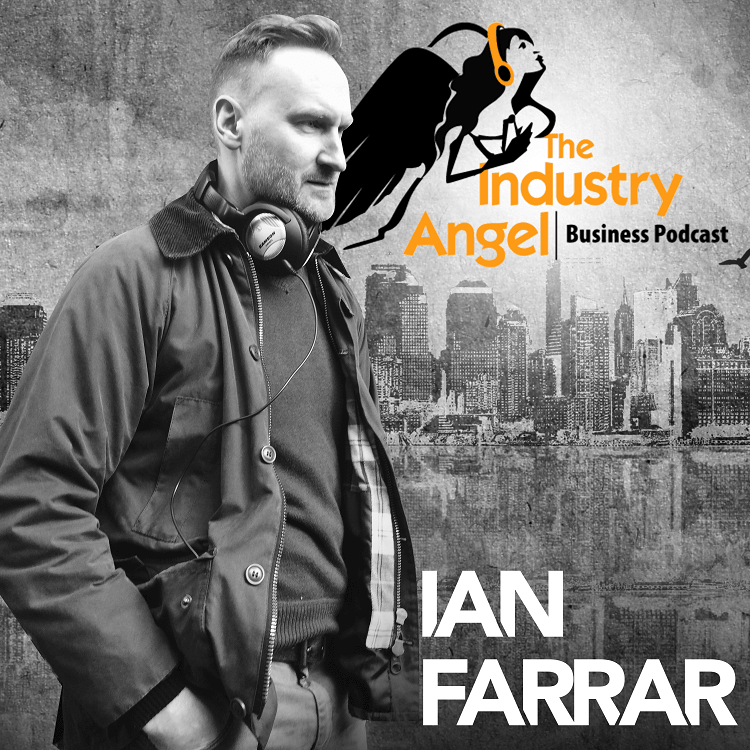 He’s prolific when it comes to creating content, especially podcasts, and today we’re pleased to bring you our spotlight of Ian and his podcast, Industry Angel Business Podcast. 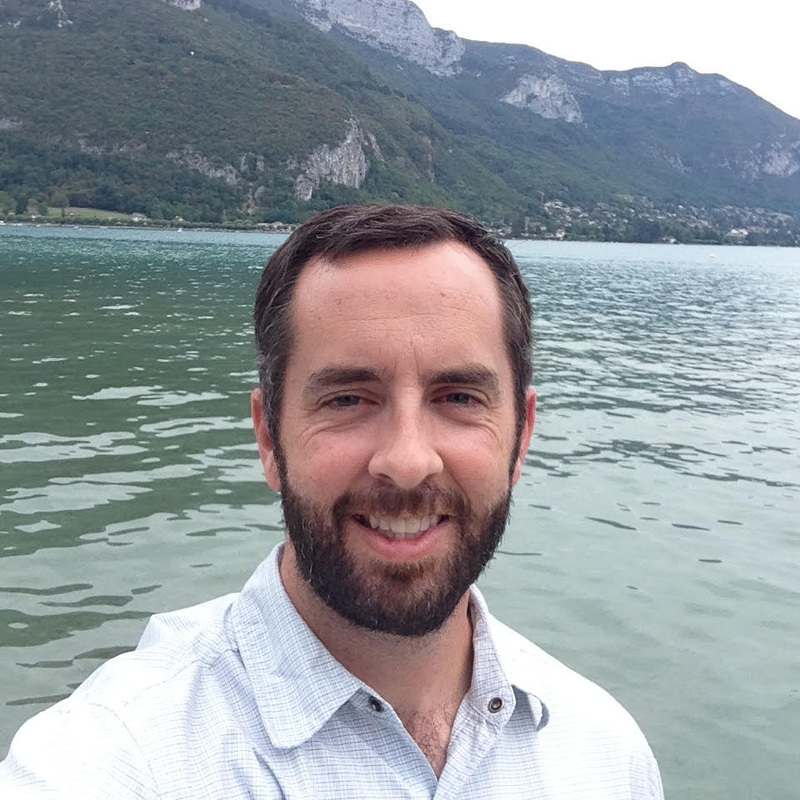 Ian interviews guests both in-person and remotely about a wide range of topics from productivity, entrepreneurship, NGOs, LinkedIn advertising, and even mobile home investing. To be clear, Ian didn’t set out to be a podcaster, rather it became an exercise in documenting his journey as an entrepreneur. Through that journey he began to offer up actionable tips for fellow entrepreneurs who were at all stages of their journey. Highly applicable to anyone interested in running a business, productivity, marketing and sales, his listeners are not only business owners but also employees that are looking to innovate advance and progress their careers in meaningful ways. Ian says that podcasting can be a time-consuming project, but one he doesn’t feel comfortable offloading to a Virtual Assistant, like many of his podcasting peers. Like many entrepreneurs Ian would love to share the workload (and reclaim some time in his day) but he is simply the best person to infuse passion into Industry Angel, so he manages the edit and promotion all himself. 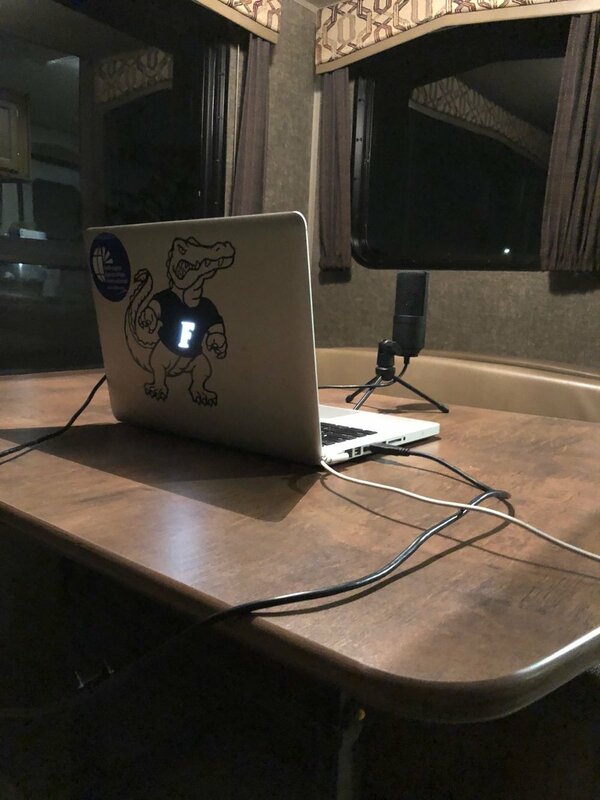 As far as equipment, he uses the podcasting staple mic; Audio-Technica ATR2100-USB, which plug directly into his laptop and records using Zencastr for interviews. When Ian records his monthly live podcast (see photo), he goes beyond audio and streams both audio and video across YouTube, Facebook and Twitter. For that audio he plugs his mics into a Zoom H4n Pro Handy Recorder. Posted on May 16, 2018 by Dan Russo. As you know, March is Women’s History Month. 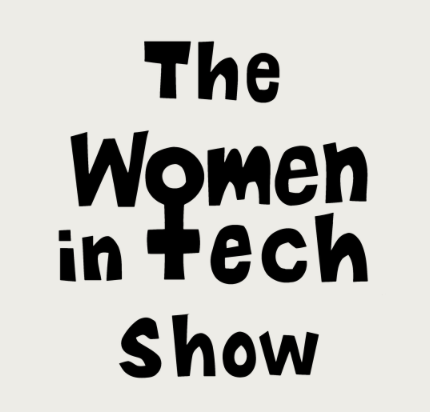 We couldn’t think of a better podcast to profile than Edaena Salinas' series: The Women in Tech Show. And so she decided that podcasting would be the perfect medium to broadcast the technical stories of software engineering, software design, Artificial Intelligence (AI), computer graphics, leadership, open source software and more. 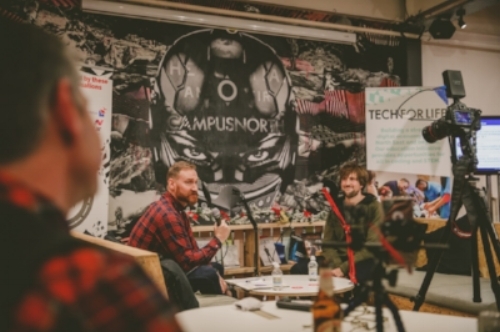 However, with of the technical nature of the interviews Edaena conducts, the podcast appeals to anyone interested in tech. When starting the podcast, Edaena found the biggest hurdle to be “figuring out what I needed to get started: microphone types, how to record, hosting, finding guests.” Indeed, the hardware side of podcasting can be an endless sea of expensive hardware options. But she researched and now has a rock-solid setup for capturing audio content. (Photo below). After recording and posting her first few episodes, the podcast grew organically without much marketing effort. Word of mouth is certainly a great way to grow your audience and Edaena has found success with simply sharing new episodes on Twitter and LinkedIn. From there, word has spread and downloads have racked up. Better than downloads, Edaena tells, is “when I hear from a listener about how much they like the show or something they have learned from it." As they say, failing to prepare is preparing to fail. Same is true for hosting a podcast. Posted on March 28, 2018 by Dan Russo and filed under Spotlight and tagged spotlight podcast women in tech. Think you're ready to start a B:B Podcast? Think twice if you're doing these 3 things. Podcasts are amazing. They’re burgeoning. The cool kids listen to them. They’re fun to be a part of. But you do need to think long and hard before starting one. And my advice here is not exclusive to podcasts. I believe less is more and you need to play to your strengths. You can do everything good/fine/OK, but you’ll risk doing nothing great. And it’s important to be great. Mediocre is fine for most of the world but you’re not mediocre; you’re great. I will not tell my kids that I do lots of things half-assed and mediocre. What lesson would that teach them? That said, starting a podcast is fairly easy, inexpensive and can be done quickly. But you need to ensure you’re taking the time, putting in the effort and investing in your podcast in the right ways. Dead blogs, stagnant YouTube channels, and Twitter profiles with the last tweet from 2009 are about as unsexy as you can get when it comes to marketing and branding. When I see these I always wonder…Why did they give up? What if they held on a bit longer? Could they be further along? Absolutely. To be clear, I’m as guilty as they come. I’ve left in my wake a half-dozen blogs with a combined 500 words between them all. Especially B:B podcasts you should not be selling on your podcast. Ads are one thing but peddling your own product as the basis of the show is wrong and you will be quickly reprimanded by listeners running away or not showing up at all. I hope you’ll share unbiased knowledge and make your audience smarter. Don’t shill. 2. You’re not listening to other podcasts. If you want to start your own podcast simply because they’re a hot medium or your competitors have one, you can stop right there. Like other content vehicles, not everything is right for every company. Let’s be clear…Don’t do podcasts just because. Podcasting takes work and passion to do well. And part of that passion is listening to all sorts of podcasts. Other podcasts provide valuable teachings. What is working, what is obnoxious, what is everyone else doing and how do you differentiate from the herd? You need to be armed with the ear of a listener and have empathy for those listeners. 3. You’re not willing to (possibly) sacrifice something else that is important to you (maybe sleep). Unless you have an ongoing overabundance of time on your hands (I know nobody that fits that profile), then you must be willing to cut something else or outsource parts of other work. Is there something else that might take a backseat, or get cut altogether in order for you to be successful at podcasting? Are you willing to wake-up 30 minutes earlier, go to bed later, stop an activity, cut 15 minutes off your daily workout? For example, as I write this, it’s 4:45am and I have a (now sleeping) 4-month-old child in my lap. (I guess the keystrokes are soothing.) Time management is elusive, but the first step is realizing there are finite hours in a day. 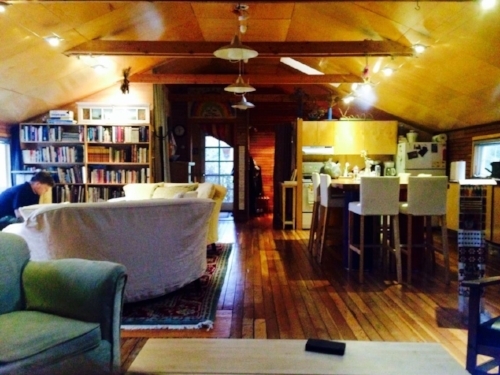 How much can you truly commit on an ongoing basis to a new project? Podcasts, like any medium, are easy to start but do take time to build an audience and create original content for. Of course, this can be curbed by setting realistic expectations as well as creating efficient processes to keep the content machine humming. Posted on March 12, 2018 by Dan Russo.